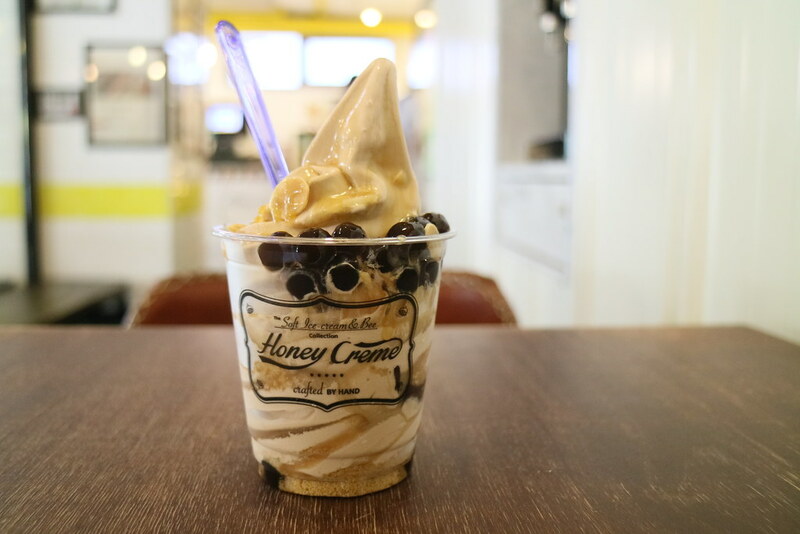 I’ve tried it twice and would usually avoid going near Honey Creme when I’m at 313@somerset, just because $6.90 for a small cup of soft serve is not something one will pay for every day. But when it’s only $3.50, why not?! Let’s have one every day if you wish. 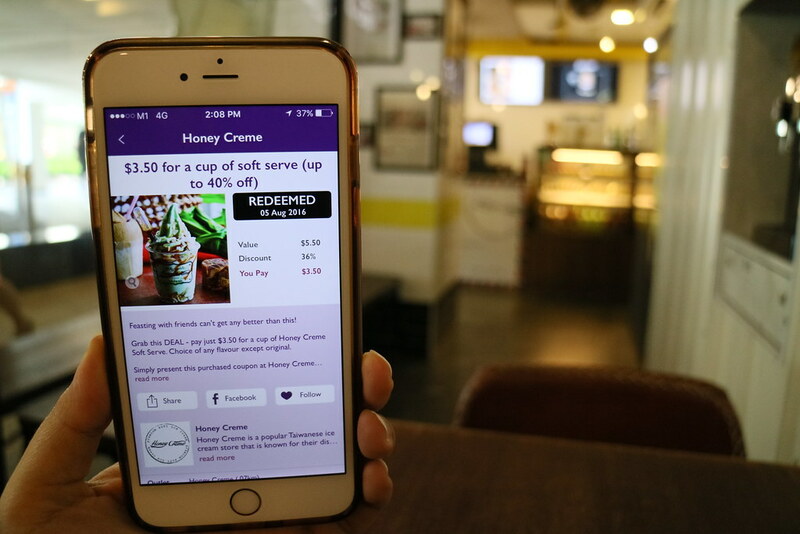 For a limited time only, you can get any of your favourite Honey Creme soft serve at just $3.50 with Tring 313 app avaiable on App Store. Besides this sweet deal, there are more exclusive offers of up to 50% off food delights at 313@somerset too. However all these will end come 21 August! Select Offers from the menu on the left. Browse the available offers and select the one you want to get. Tap on “Buy Now” button. Select “Pay with PayPal” or “Pay with Credit Card” and proceed as required. Once payment is complete, you’ll see the list of coupons you’ve gotten in “My Coupons”. Select the coupon you want to use and tap “Redeem”. You will need to hand your mobile to the merchant upon payment for them to enter their redemption code. That’s it! Now enjoy your offer! New user who sign up will also receive a surprise welcome treat at Candy Empire, Chocolate Origin or llaollao (While stocks last). Download the Tring 313 app on App Store and head over to 313@somerset before the vouchers get snapped up! Be one of 3 weekly winners to walk away with $50 F&B vouchers. Simply log on to http://facebook.com/313somerset and guess the outlets in the flat lay photos that are featured in the 313 Food Guide. Dining with friends is always a bonding experience. Make it a winning one too! Share your amazing food adventures at 313 and be one of 8 foodies to win $100 313 vouchers. It’s a piece of cake, follow @313somerset and upload your photo on Instagram photo with hashtag #313foodie. This is one sweet and refreshing deal for all those catching Pokemons around Orchard Road. Catch these awesome foodie deals before they’re gone! No Poke Balls needed!